In an effort to bring attention to the undertreatment of pain in America, Dr. James Campbell, president of the American Pain Society, encouraged healthcare providers to treat pain as seriously as they do vital signs. From Campbell's speech to the APS in 1996, the concept of pain as the "fifth vital sign" was born. Although clearly not the original intention, this new idea of pain treatment has driven the current complex pain management state of overuse and abuse. However, pain is not an objective measurement of the patient's status or condition. Pain is a highly subjective perceived symptom to another problem or disease. It certainly is not a vital sign, such as the counting of a heart rate or measurement of a blood pressure. Herein lies the problem of how to adequately and effectively manage a patient's pain — especially when pain "is what the patient says it is." Again, this confirms the fact that pain should not be treated as a vital sign. Multiple pain-rating scales have been developed and implemented in an effort to assist patients in quantifying their pain. These scales are used to assist in providing measurable assessments and evaluations, but they can be grossly misused, further contributing to the problem. Most healthcare workers have stories of patients stating their pain is "10 out of 10" while falling asleep talking to them and requesting their pain medication. So, how did America get to this place? How did it get so out of hand with thousands addicted to opioids and heroin each year? Let's take a quick look at a timeline of events. 1986: Dr. Russell Portenoy, a young doctor working at Memorial Sloan-Kettering Hospital in New York started speaking out on the benefits of opioid use for pain management and essentially destigmatizing the use of opioids. At the time, the risks of addiction were minimized, and the goal was pain relief. 1996: Purdue Pharma released OxyContin, the time-released form of oxycodone. It was branded as safe and effective when properly used, and this began to change the landscape of pain management strategies. 1998: The Federation of State Medical Boards released policy statements that physicians would not face any regulatory action for prescribing large amounts of narcotics. Several people associated with opioid production developed the policy statements, and the federation has received almost $2 million from opioid makers since then. This essentially opened the gates for increased use of narcotics and the beginning of the "pain pill mills." 2001: The Joint Commission issued standards regarding the need to regularly ask and assess pain of hospitalized patients, ushering in the daily use of pain scales. The Joint Commission published a guide — incidentally sponsored by Purdue Pharma — explaining that some healthcare providers have "inaccurate and exaggerated concerns" regarding addiction, tolerance and the risk of death. 2006: One of the most influential events in the increased use of opioids for pain management was the implementation of Hospital Consumer Assessment of Healthcare Providers and Systems (HCAHPS). With patients' survey responses tied to reimbursement, the idea of keeping patients completely satisfied during their stay became paramount, especially for administrators. Included in the questions are: "How often was your pain well controlled?" and "How often did the hospital staff do everything they could to help with your pain?" So, although the staff may have provided the safest medication regimen and treatment, if the patient perceives that "everything" was not done, a lower score will be provided. In response, many physicians — at the urging of hospital administrators — have liberalized their prescribing in the effort to obtain favorable scores. Again, the focus was toward satisfying the patient, not necessarily treating them appropriately. 2007: Purdue Pharma and three executives pleaded guilty to "misbranding" the drug as less addictive and less subject to abuse and were fined $635 million. Despite this landmark ruling and fine, Purdue Pharma continues to enjoy more than 259 million prescriptions for its drug, totaling $9 billion per year in sales leading up to 2012. 2013: Opioid overdose deaths had surpassed car accidents and continue to rise. The use of heroin is on the rise as addicts seek out other alternatives to the prescription drugs they have become accustom, but can no longer easily obtain. It has become clear that a monster has been in the making. Many addiction specialists for years have been calling for action, but it was seen as a "street problem," so little was being done. 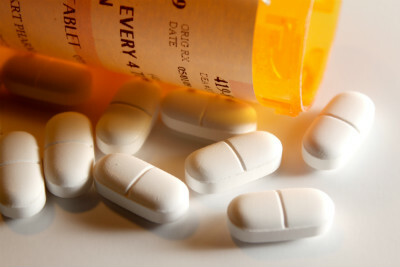 In March, the Centers for Disease Control issued guidelines for prescribing opioids, and in April The Joint Commission issued clarification statements on their requirements for pain management. Finally, some attention is being paid to this serious matter. Many lessons can be learned from the history of this problem. Clearly, there needs to be better legislative oversight of big pharmaceutical companies having influence over the recommendations and mandates by which facilities need to abide. Outside research needs to be conducted, and experts in the fields need to be harnessed to investigate claims made when profits are to be made. Change also starts with each healthcare provider. Time and attention need to be paid to not follow the old, comfortable ways of just throwing pills at a pain number — which we have been keenly conditioned to do. True collaboration needs to take place with all stakeholders — the patient, prescriber and staff administering the medication. Although many have been taught about nonpharmacologic intervention, these modalities and thoughts need to be revisited and implemented. For when we are all in, change happens. But more importantly, if we do not learn from our mistakes, we are doomed to repeat them.